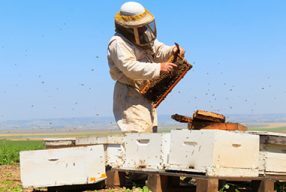 An increase in the number of managed hives available for crop pollination is crucial to the continued prosperity of the Australian horticultural industry. 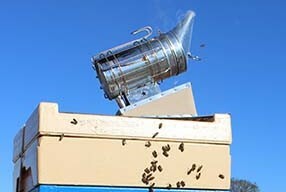 Further development of the managed pollination sector will also provide important opportunities for the honey bee industry. However, a significant barrier in this regard has been the risk that beekeepers face in relation to honey bee pesticide poisoning. 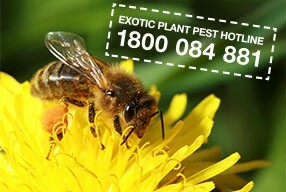 Pesticide poisoning events of managed hives have occurred in Australia, and they have mainly occurred from a chemical toxic to bees being inappropriately applied to flowers in a crop, or from spray drift from neighbouring paddocks. 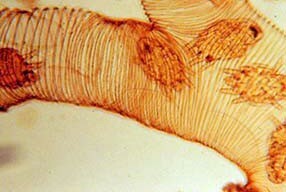 A swab sample from the outside of the hive. For a summary of the information to include and what symptoms to record, download the Pesticide poisoning report. 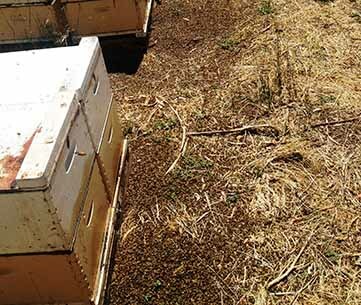 This report is an extract from Honeybee pesticide poisoning: a risk management tool for Australian farmers and beekeepers, published by the Rural Industries Research and Development Corporation. Any adverse experiences should be reported either to the relevant state or territory government agency or to the APVMA’s Adverse Experience Reporting Program on 1800 700 588. 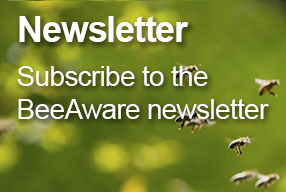 The information on the pesticides toxic to honey bees is from Daryl Connelly (2012) Honey bee pesticide poisoning – a risk management tool for Australian farmers and beekeepers, Rural Industries Research and Development Corporation Publication 12/043.